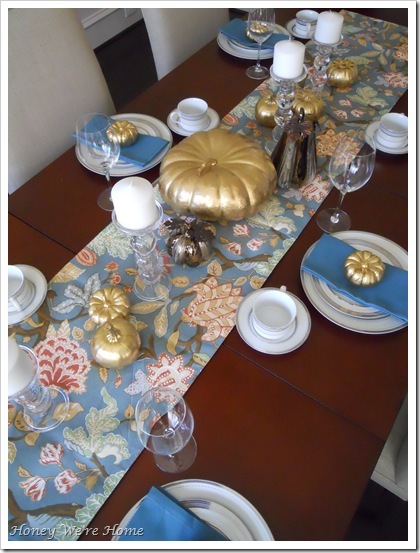 Thanksgiving always gets me thinking about the Thanksgiving table. 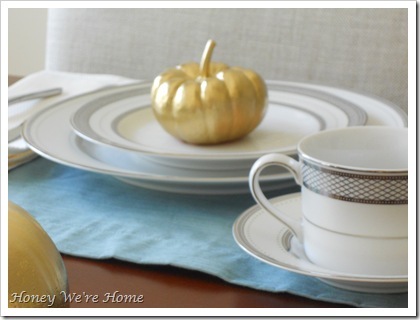 This year, I was inspired by the image below to create a tablescape using a modern gold and blue palette, instead of my usual red and orange tones. And here they are after, along with some pale blue placemats from Target and our wedding china. I love the “oomph” this floral runner gives to the table with its pretty mix of colors, but now I’m thinking maybe I should add charger plates and/or a light blue tablecloth underneath?? This table continues to evolve... :) Hope it’s ready by Thanksgiving!! Thanks for having me Michelle!! That is so pretty! I may have to go on the hunt for that table runner today. It looks awesome! I love the addition of the runner. As always Megan does not disappointed with her put together style! 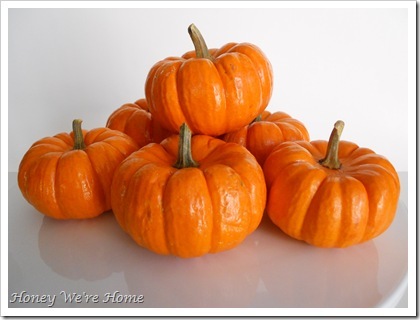 I love the spray painted pumpkins, what a fun addition! I love it. 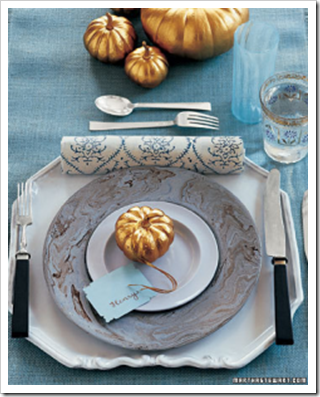 So different with the blue but still scream stylish Thanksgiving! Looks great, girl. 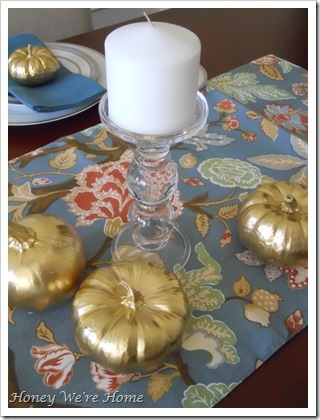 Love the runner with the gold pumpkins.Maybe gold chargers? 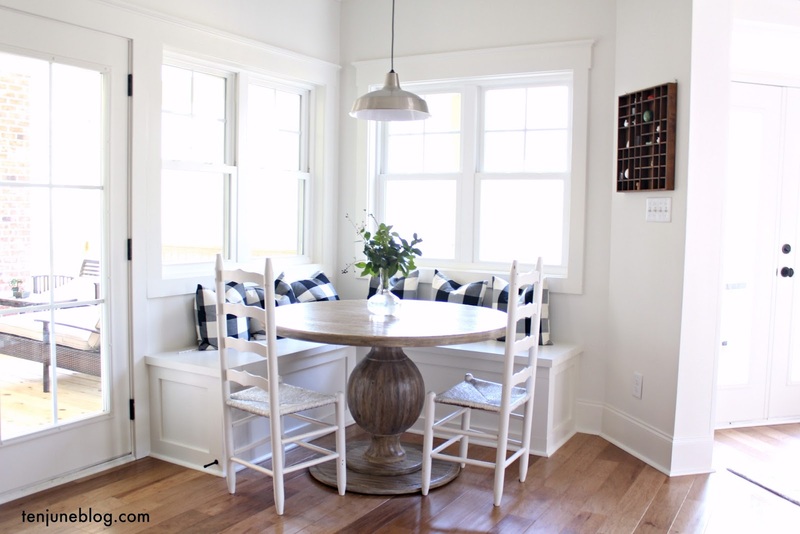 Love the table, Megan! 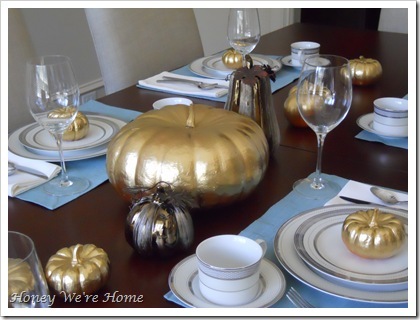 I told my grandma we need to spray paint some pumpkins metallic this year because one of my favorite bloggers did it (: Thanks for featuring this, Michelle! Love the addition of the runner! You can find multiple shades of chargers at Michaels...i went with a rose gold. Your pumpkins look great...which gold spray did you use? Love the table, Megan! And my favorite is that it is different than the usual fall-colors, but is still totally fall-ish!